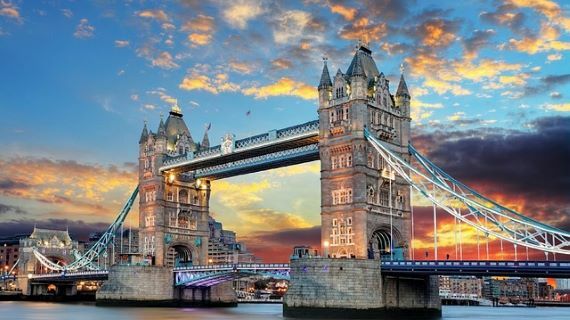 Whether you’re a local or a visitor, London has plenty to offer. If you want to incorporate some first-class pampering into your time in the UK’s iconic capital, we’ve picked out some of the best spa experiences in London to suit all budgets, from mini spa days to longer spa breaks. If you want to find out more about what London has to offer, check out our city guide. - Located close to glorious Richmond Park, the Richmond Harbour Hotel & Spa is a wonderful place to relax and unwind while enjoying the first-class hotel, spa and leisure facilities. - Whether you need some pre- or post-flight pampering or are just looking for an oasis of calm outside the city, the stylish Radisson Blu Edwardian Heathrow offers a range of luxury spa packages. - The upmarket Baglioni Hotel London offers style and elegance in the heart of Kensington, providing the perfect way to combine relaxation with some retail therapy. - The contemporary Crowne Plaza London Docklands offers terrific spa facilities and is ideally located for enjoying the very best of east London, with great transport links to the city centre. - The upscale Radisson Blu Edwardian New Providence Wharf offers several packages, including the Inner-City Escape, which includes lunch and a one-hour treatment. - The Casa Day Spa on Edgware Road offers a range of tempting packages, for singles, couples and groups, including the Hydro Power Hammam Day, which includes a range of indulgent Moroccan-inspired treatments. - As well as providing a great base from which to enjoy the sights of the city, the Landmark Spa and Health Club in Marylebone offers a luxury spa, with packages that include the indulgent Pamper and Afternoon Tea. - For a true touch of luxury, the stylish May Fair Hotel in Westminster offers everything you could want from a pampering spa experience in the very heart of the city. Its City Dweller for Two package, which includes a glass of champagne and a relaxing back massage, could be the perfect addition to a romantic London city break. - The riverside Crowne Plaza London in Battersea offers a One Night Spa Verta Retreat. The hotel provides an excellent base for enjoying Battersea park and is within easy reach of the city’s attractions. - The upmarket K West Hotel & K Spa in West Kensington offers a choice of two one-night spa breaks that each come with a range of inclusions. The hotel is located close to the area’s great shopping and museums. - The Rembrandt in central London offers three excellent one-night spa breaks that feature a selection of treatments. If you want to explore the highlights of London, such as nearby Hyde Park, this classic hotel provides the perfect base. We hope you’ve enjoyed this whistle-stop tour of the best London spa experiences. For the next in our series of articles on the best spa experiences, we head north of the border to the vibrant and historic city of Edinburgh. Ready to explore the best spa experiences in London? Call our team to today to plan your next pampering package.